A high-end personal transporter with highhandle bar for a comfortable and efficient solution for transportation in style. An intelligent self-balancing two-wheeler. 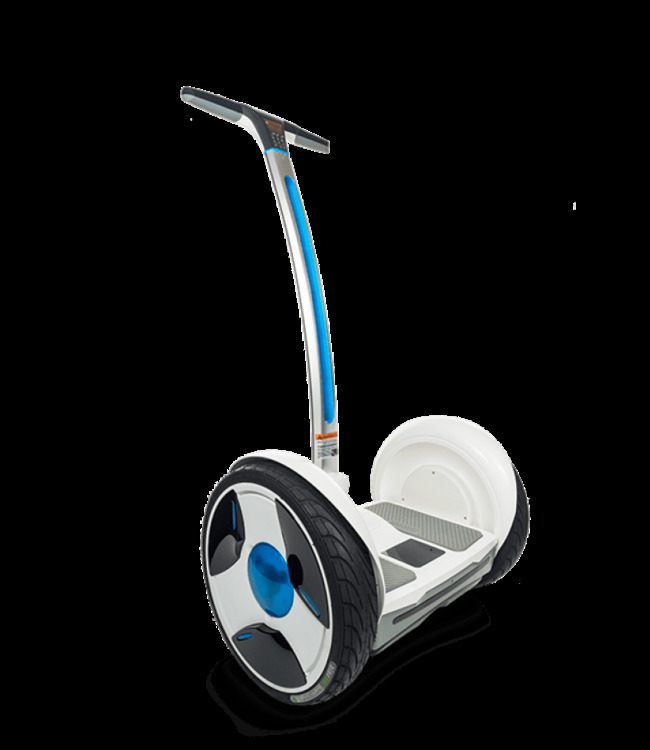 It has an elegant and simple appearance, is easy to learn and drive, faster and easier than walking, and easy to stow away. This innovative short-distance solution is aimed to fill the gap between walking and driving a car. The whole device weighs 20kg and can fit into a car's trunk easily. It has a lighting zone complete with light effects on the operation lever, tail lamp and head lamp. The lighting effects can be customized using the Ninebot by Segway app, which makes a the vehicle visually appealing, but also makes the trip safer.